The funeral service is scheduled for Sunday, November 11, 2018 at 2:00 pm at Tabernacle Temple of Jesus Christ, 1601 Lane Street, Ext., Wilson, NC. Bishop Ralphel Holloman will deliver the eulogy. Burial will follow in Rest Haven Cemetery, Lane Street, Ext.., Wilson, NC. A public visitation will be held on Saturday, November 10, 2018 from 3:00 pm until 5:00 pm at Stevens Funeral Home, 1820 Martin Luther King, Jr. Parkway, Wilson with an inspiration wake service from 7:00 pm until 8:30 pm at Feel Free Ministries, 3543 Highway 301 N. Wilson, NC. 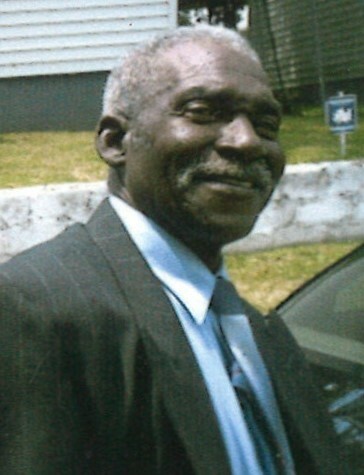 Mr. Cox was preceded in death by one son, Michael Joe Cox; one daughter, Bonnie Cox Revell; his parents, Herman Cox and Virginia Robinson Cox; seven brothers, Herman Cox, Jr., Comillus Cox, Raymond Cox, Willie Gray Cox, William Douglas Cox, Jimmy Cox and Frederick Cox and one sister, Odessa Cox. He leaves many cherished memories to: his wife, Robena Cox of the home; four sons, Leatrice Patterson (Gloria), Harold Cox (LaVerne) and Pastor Anthony P. Cox (Gernese) all of Wilson, NC and Dennis Cox (Wilma) of Wendell, NC; two daughters, Brenda Sutton of Brooklyn, NY and Sharon Johnson (Martin) of Wilson, NC; nineteen grandchildren; thirty two great grandchildren; one great great grandchild; three brothers, Bishop Henry Cox (Martha) of Wilson, NC; Apostle Bobby Cox (Joyce) of Sanford, NC and Ardell Cox (LaVerne) of Lucama, NC; one-son-in-law, Manley Earl Revell of Wilson, NC; three sisters-in-law, Dale Cox of MD, Ella Cox and Doris Cox both of Wilson, NC; one brother-in-law, L D Patterson (Hazel) of Goldsboro, NC; a host of nieces, nephews, cousins, other relatives and friends. Arrangements are by Steven Funeral Home,.1280 Martin Luther King, Jr. Parkway, Wilson, NC.